Professional (PRO) Independent Nurse Provider (INP) is an organization that is designed to allow nurses (LVN's and RN's) become independent. What does being independent mean? Patients who have ongoing skilled care, i.e. tracheotomy care, gastronomy care, IV administration, stoma care, qualify for EPDST (Early and Periodic Diagnosis, Screening and Treatment) through their Medicaid benefits to receive shift care or private duty nursing up to the age of 21. Adult patients may qualify for the same services through the In Home Operations benefit with Medi-Cal. California Children's Services may also provide this benefit for those members who qualify. Currently the majority of this benefit is administered through a Home Health Agency that supplies the nurses for the patient. However, becoming an Independent Nurse Provider allows you to work independently without an agency and bill Medi-Cal directly for the services rendered to your patient. Our team currently consists of a Registered Nurse who has been providing private duty nursing to both adults and pediatrics for over 8 years. Our Registered Nurse, Andre Bagramyan (NPI Number 1841698479), started off as a LVN in 2006. Having no experience at all in the nursing world and unable to find work in an acute setting, he turned to private duty nursing. Unfortunately the pay was too low and Andre returned back to school to obtain his license as a Registered Nurse. Through the first year of his RN career, he began hopping around in different areas of nursing practice to find his "nitch". Unfortunately, through many position and different settings, he realized that private duty nursing and home health was where he belonged. He again returned to school to obtain his Bachelor's Degree in order to become the Director of Nursing and Administrator for a local Home Heath Agency. After putting in long hours and average pay, Andre turned to Medi-Cal and developed a Independent Nurse Provider relationship with them. He now assists nurses in becoming Independent Nurse Provider in California to both, medically fragile foster children and private duty nurses. Michelle Salazar, our Medical Biller, has been providing billing services in California for Home Health Agencies that provide Private Duty Nursing for over 10 years. She has experience billing Medicare, Medicaid, Private Insurances and the VA. She has dealt with the most complicated billing cases and has claimed hundreds of thousands of dollars in collections. She is a great communicator with customer service to our clients as her number one priority. She has assisted clients and their patients deal with unique eligibility issues and does not take no for an answer. 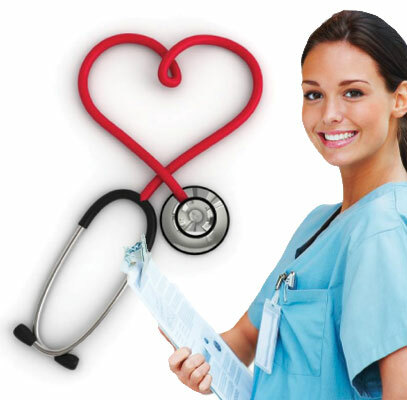 Have you recently decided to become an independent nurse contractor? Get all the required information on this page.